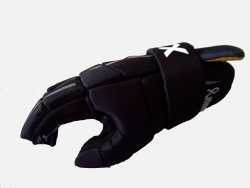 Lax Gloves are a critical piece of Lax gear that protect the hands from a very physical game. Today they are much better than they have ever been. Superior materials and technology make them much more flexible while still retaining even better protection than ever before and they weigh almost nothing. Hands and arms take a pounding from constant checking and broken and busted fingers would be the result of playing without them. It is very important that they should fit comfortably snug. If they fit loose they can be very unruly and make stick handling a challenge. Make sure the wearer put's their hands all the way in them and check the fingers. There should not be much room left in the end of the fingers. Make sure they are comfortable when gripping their stick. Gloves should fit snug and cover the entire top of the hand all the way back to the wrist. 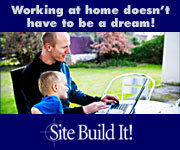 Parents have a tendency to purchase gear that is too big so that their kids can grow into them. If you are concerned about them growing out of the gloves, or money is a factor, check with other kids in the divisions above. Kids grow out of their gloves pretty fast and it is often not hard to find a good pair of used gloves. You can likewise sell/pass your gloves on as your child grows as long as they are still in pretty good shape. If they have rips and holes it is time to replace them anyway. E-bay is another good source for used lacrosse gear, and there are sites on the web that specialize in used gear. Make sure if you are buying anything online that there is a good return policy in case they do not fit right. 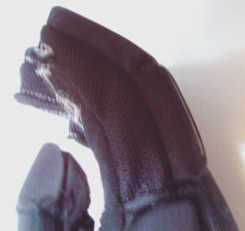 Lacrosse Gloves cover the back of the hand, fingers, and wrists. They also cover the sides and bottom of the wrist with about 1/2 inch thick foam padding. The palm and bottom of the fingers of the glove are usually just thin material similar to what you might find in batting glove or golf glove, but a little more ruggedly constructed. It is important that you do not cut or modify the glove as it is specially designed to support and protect. In some conferences modified gloves are illegal.